VirginiaLynne loves crafts and scrapbooking. She shares her original ideas and tips for how to make crafts quickly and easily. 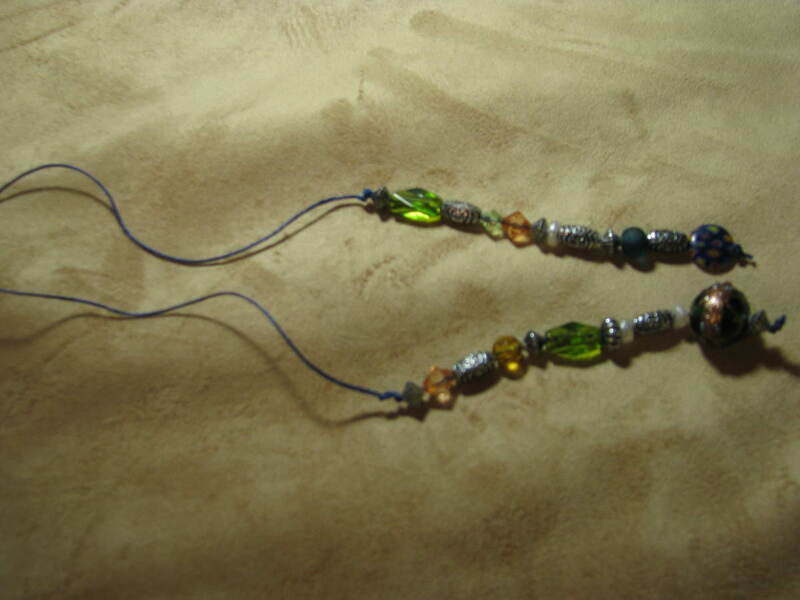 Beaded Bible Bookmarks are great craft because they are inexpensive, easy, fast, fun and useful. This craft can be adapted to any holiday and makes a great gift or party favor too. 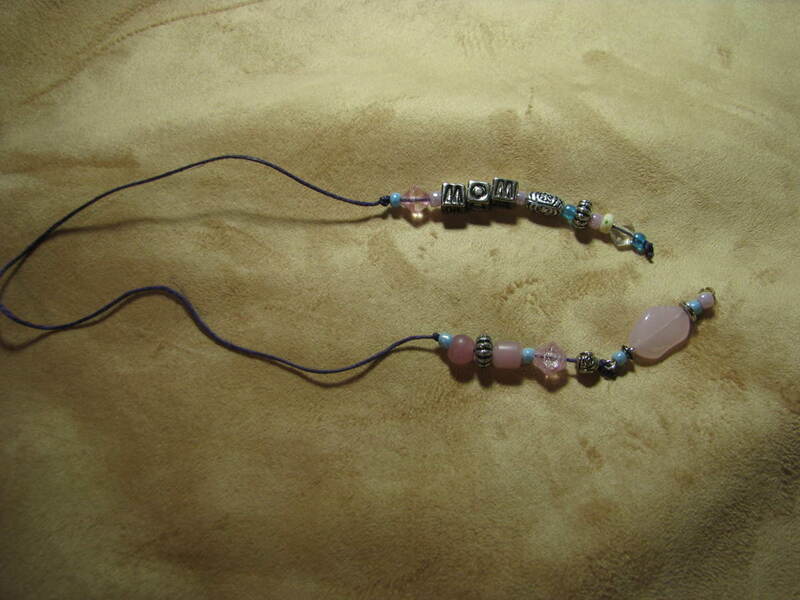 These Beaded Bookmarks make an easy and elegant gift for mom on her birthday, grandma at Christmas, dad on Father's Day, teachers at the end of the year. 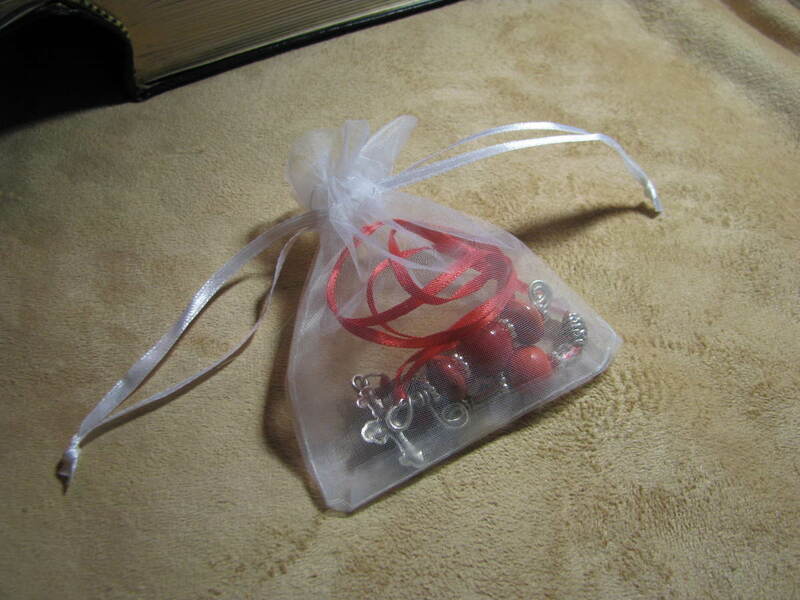 They are a great way to honor a baptism or graduation too, especially if accompanied with a new Bible. Everyone needs a bookmark and most of us need several, so you can be sure this gift will be used and appreciated. 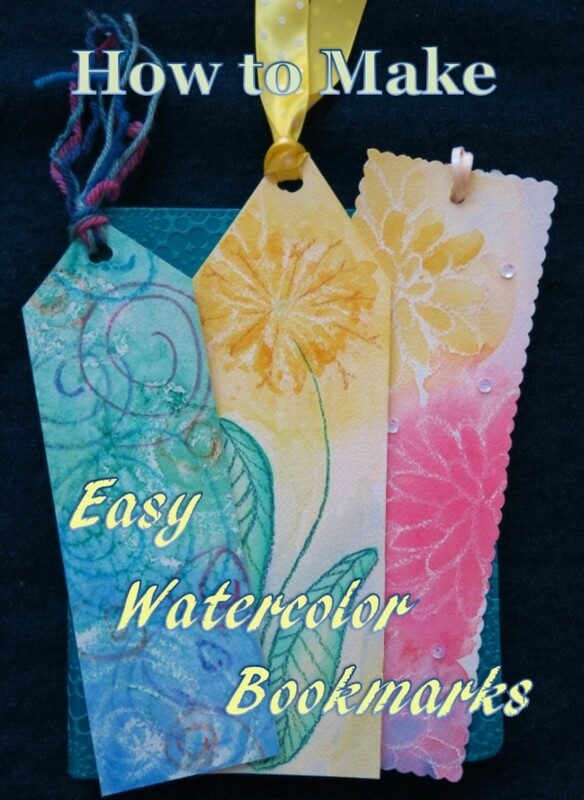 Because these bookmarks are so easy to make and inexpensive, they are also a great craft to make with a large group of kids or adults. Moreover, depending on the skill level of the group you are teaching, you can vary the difficulty of the craft. I will give you several different versions of this craft to help you choose what would work best for your group. Along with providing a list of materials and instructions, I will give tips for organizing the craft and teaching it. 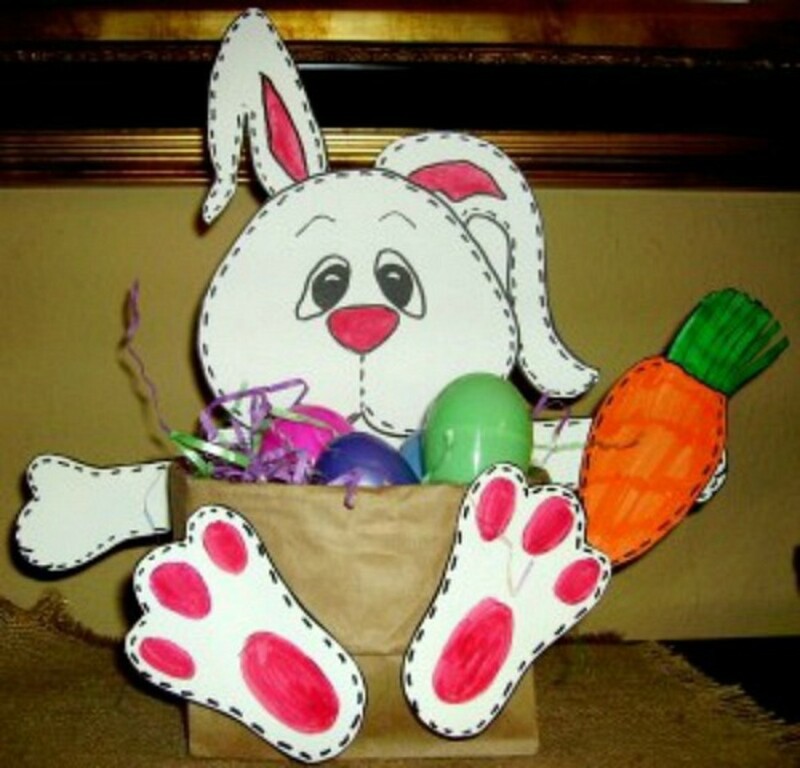 Furthermore, I will suggest how you can package kits of the craft to make the craft time go more smoothly no matter what the size of your group. 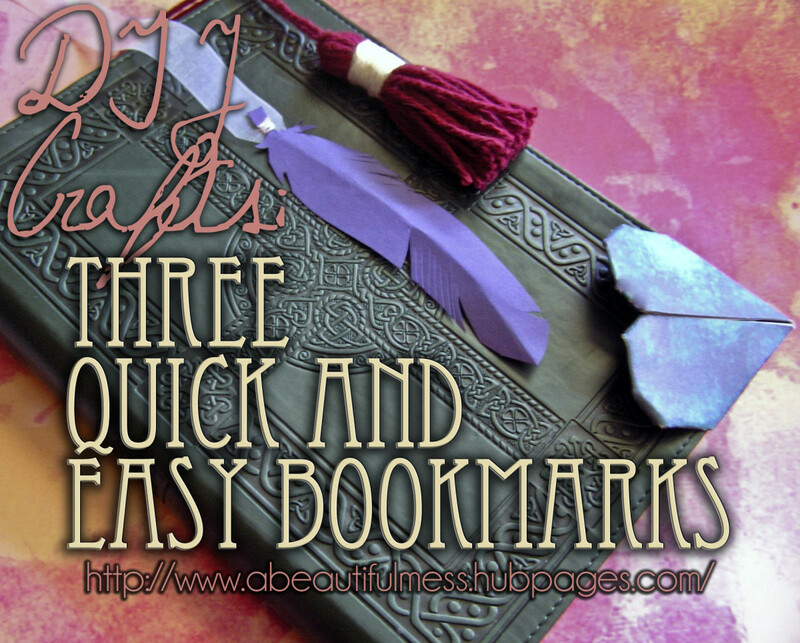 These are the easiest and least expensive bookmarks to make. They cost under $1.00 each for the materials and don't require any tools. 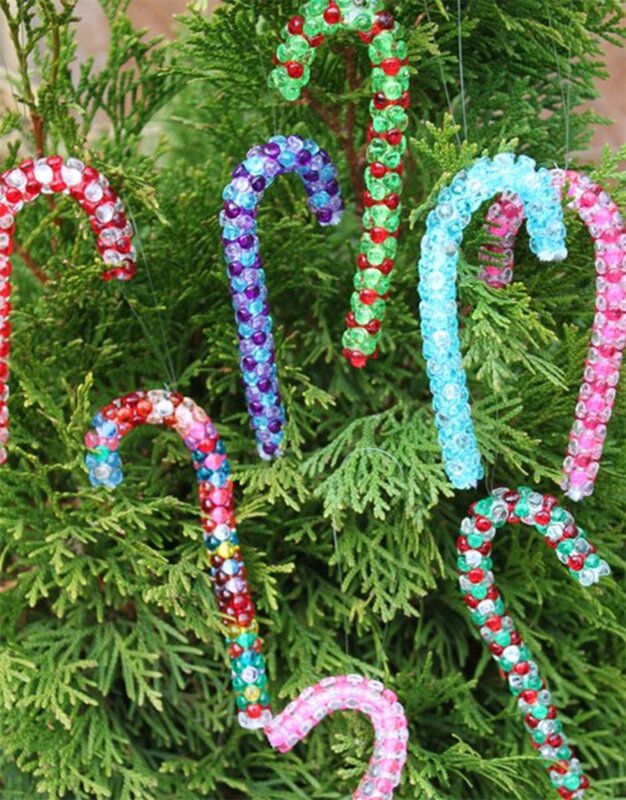 These can also be made with plastic beads if you are doing a kids project and that is even less expensive. What I especially like about the hemp bookmark is that the cord is thin and doesn't hurt the pages of the book at all. Fold the paper like an accordion so that it is shaped like an "M" and has a well where you can line up your beads in order. Decide how big you want the middle part to be. For a large Bible or hardcover books 9” is best. Smaller books are closer to 6-7”. Fold the hemp cord in half to find the middle. Then between 3-5 inches away from the middle tie a double knot on one side. Do the same for the other side. These double knots will keep your beads in place. 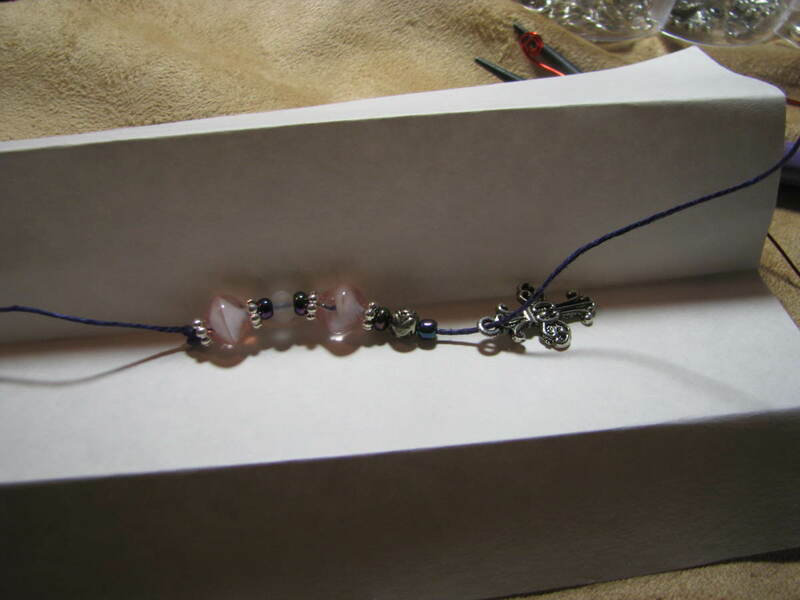 Next, take your beads and line them up in the order you want to string them on your bookmark. 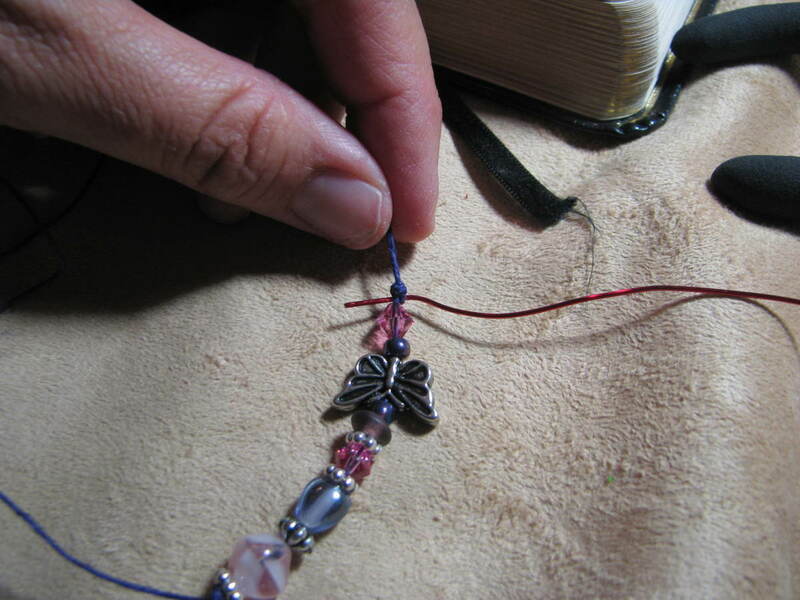 You will be beading on both sides of the bookmark, so you will want to divide the beads into two sections, one for each side. Usually, you should put a seed bead or two in between each of your larger beads. Generally, it looks best to have a pattern something like 2 seed beads, small bead, seed bead, large bead. However, you can really do any pattern that looks good to you. Now you will need to start stringing your beads on each end. Just thread them on in the order you have them laid out on your paper. If you have some trouble putting the cord through, you can cut off the tip of the hemp to make it easier to thread. 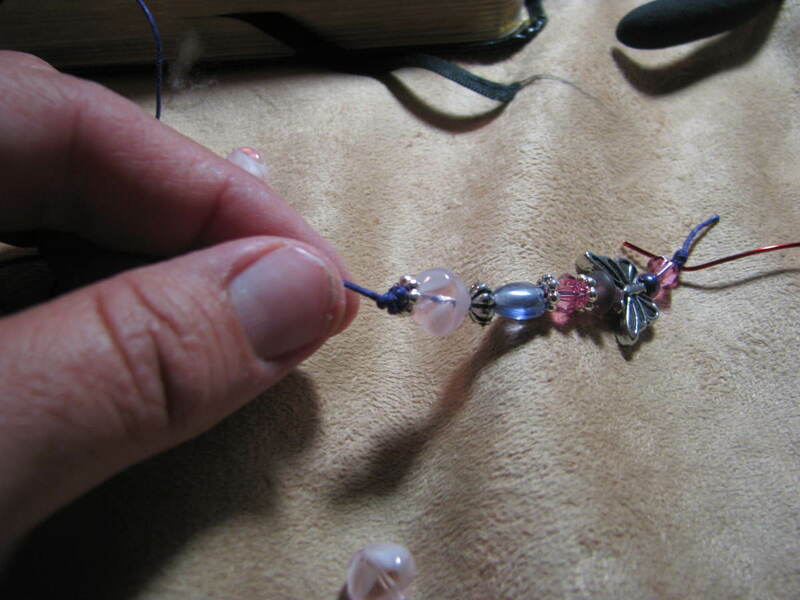 You can also put on a little nail polish on the end to stiffen it (let it dry before trying to bead). For beads that have too small of a hole, you can enlarge it easily with a beading tool that you put in and twist to make a bigger hole. 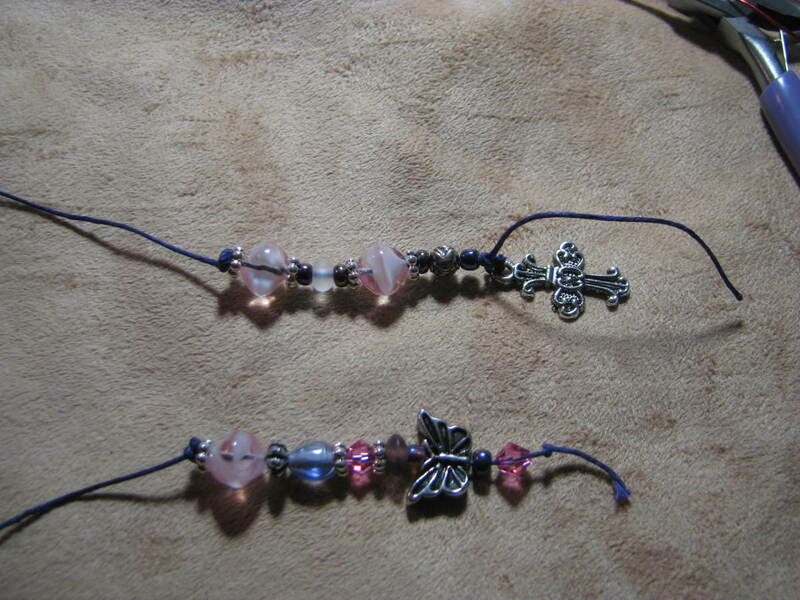 (optional) Charms--when you finish the last bead, tie a knot, then string on your charm. Tie a double knot to hold the charm on (sometimes you need to tie the knot around the ring of the charm). When you have finished putting all of your beads on, then tie the ends of your hemp again in a double knot. 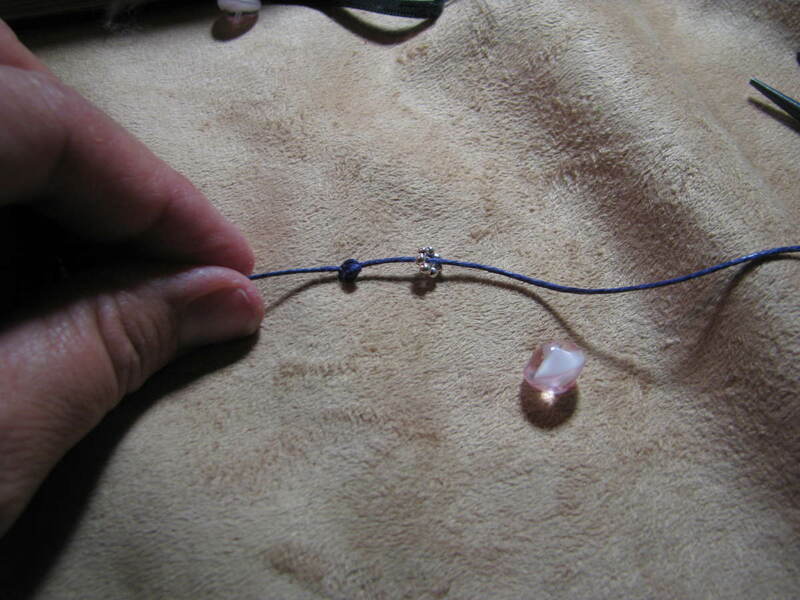 Use a thin piece of wire or toothpick to pull the knot up to the beads if you need to. 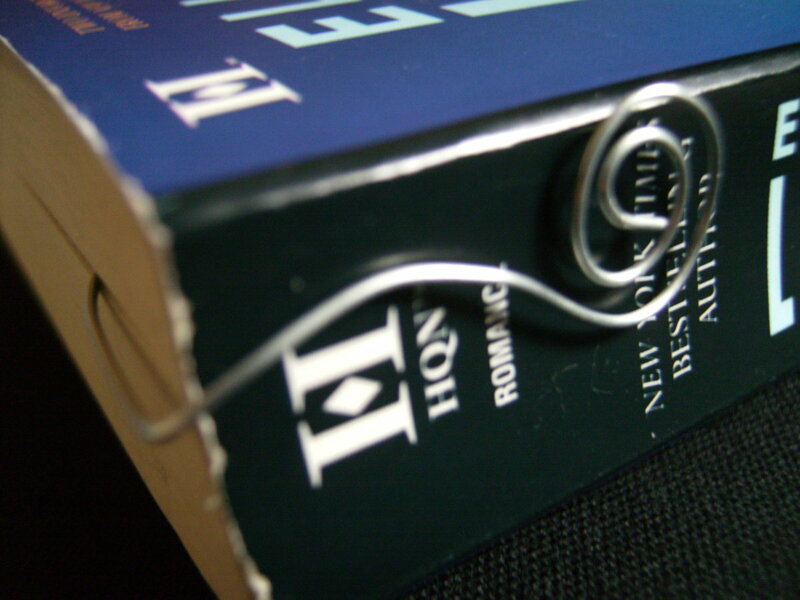 Finally, you will make sure the knots don't come undone by putting your bookmark flat on a piece of foil or plastic and putting a small drop of clear nail polish on each knot. Let it dry and enjoy giving it as a gift or keeping it for marking your own place in your book or Bible! What I really like about this craft is that it is two crafts in one. You can use the same materials to make a beaded key chain. I usually give the option of doing either one when I teach this to a group. The instructions for making a keychain are similar to the bookmark. The only additional thing you need is the keyring, which you can find at any craft store. You can use clip rings or round ones. Charms look particularly good on key chains, so I often include them. Fold the hemp cord in half to find the middle. Put the loop of the cord through the keychain ring. Then pull the two end strings through the loop. This ties the cord onto the keychain. Put a little clear nail polish on this knot to hold it in place and let it dry before starting to bead. Next, take your beads and line them up in the order you want to string them on your keychain. Remember that there are two cords you will bead on, so you will want to divide the beads into two sections, one for each side. Usually, you should put a seed bead or two in between each of your larger beads. Generally, it looks best to have a pattern something like 2 seed beads, small bead, seed bead, large bead. However, you can really do any pattern that looks good to you. Finally, you will make sure the knots don't come undone by putting your keychain flat on a piece of foil or plastic and putting a small drop of clear nail polish on each knot. Let it dry and enjoy giving it as a gift or keeping it for yourself! Unless the group you are teaching is small, you will probably want to put together a package of materials for each person to use. I find that this method also helps me to figure out if I have purchased enough materials and ensures that everyone gets what they need. You can have your kits color coordinated in blues, greens, purples, reds or pinks. Or you can have two or more colors included. 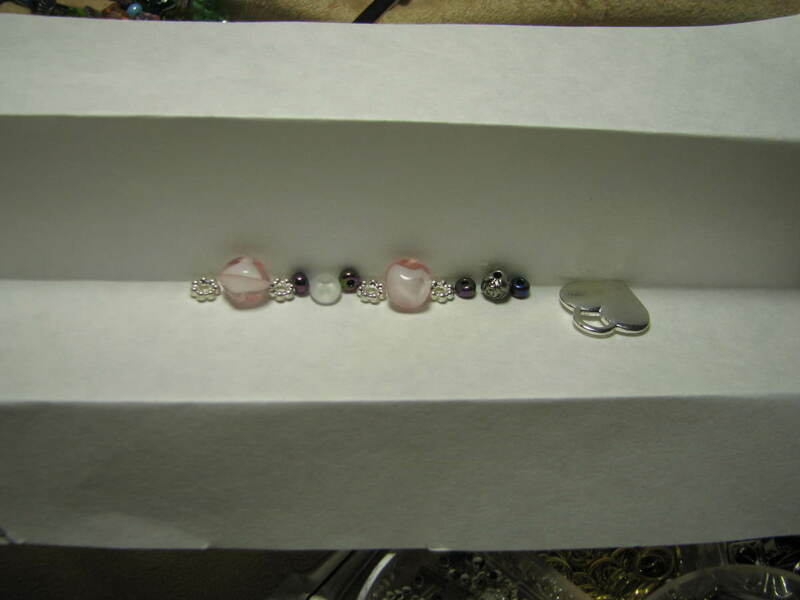 Lots of times, I put in 2-4 of my fancier glass beads first, then add other beads to match. These sorts of kits allow you to order beads in bulk and then match up small kits. What is wonderful about this project is that you really don't need to have any of the beads be exactly alike. In order to make packing the kits easier, I usually count out the larger beads, but just use a 1/8 to 1/2 teaspoon to measure in the seed beads (I actually count out the amount I would need then see what size measuring spoon it fits into). It goes faster if I cut all of my string first. 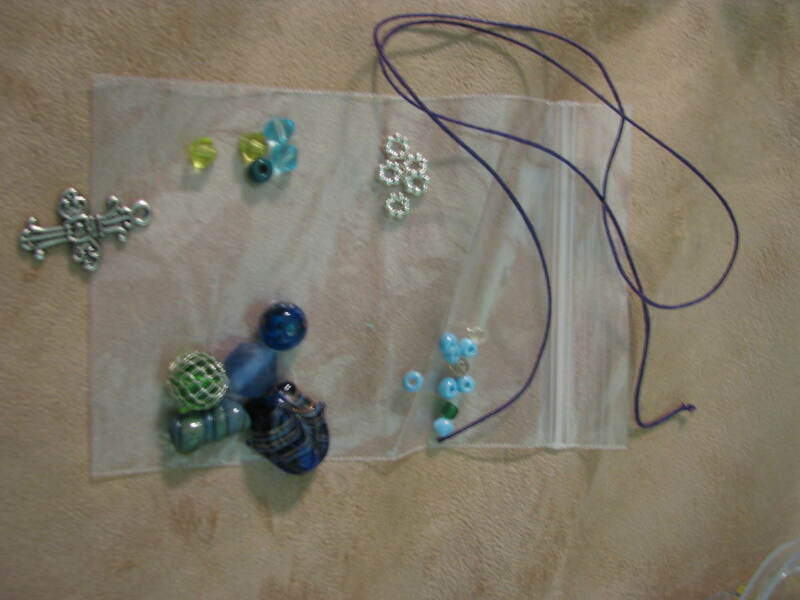 Generally, I pack up my kits in Ziplock bags, which can be used to take the craft home too. An Even Cheaper, Easier Version! If you are doing this project with a really big group, or for kids in a VBS or some other situation where you need to keep costs down, then you can use plastic beads, which are even less expensive. Many of the plastic beads look like glass ones. You can tell the difference only because they are lighter in weight. Moreover, I've recently seen beads that look like metal but are really plastic. I can hardly tell the difference with those! With plastic beads, you may just want to use larger/medium size ones and skip the seed beads. That would be especially good for younger folks. You can also save money by using string, yarn or hemp you buy in a big roll. You're very welcome. It looks like fun too. Wow, that's a lot of people! Smart idea! Thanks so much Kristen! We've enjoyed making these beaded bookmarks and keychains a lot at my house and I also prepared the kits for 80 people at my MOPS group. 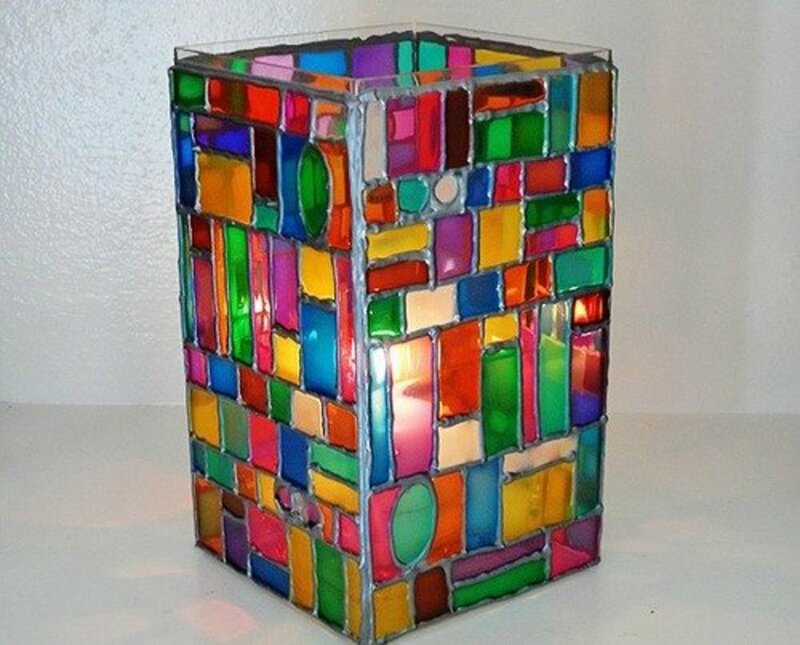 It is hard to find crafts that are inexpensive, easy to do and look nice enough to keep or give away! Virginia, this was just beautiful, awesome and useful, all together. Voted up for a swell crafty idea! I have been browsing through various projects that I can incorporate into my gemstone collecting (need something to do with the raw gems). This is something that I can use with my gemstones! Thanks for sharing. Wonderful Mohammad! Check back because I'm working on some other instructions on jewelry making! It's really very appreciable idea to make jewellery with beads . one should be proud to self made jewellery to carry. I will try to follow the idea and make for me and for my friends the self hand made jewellery. talfonso--I hope you do! If so, come back and tell me about it. 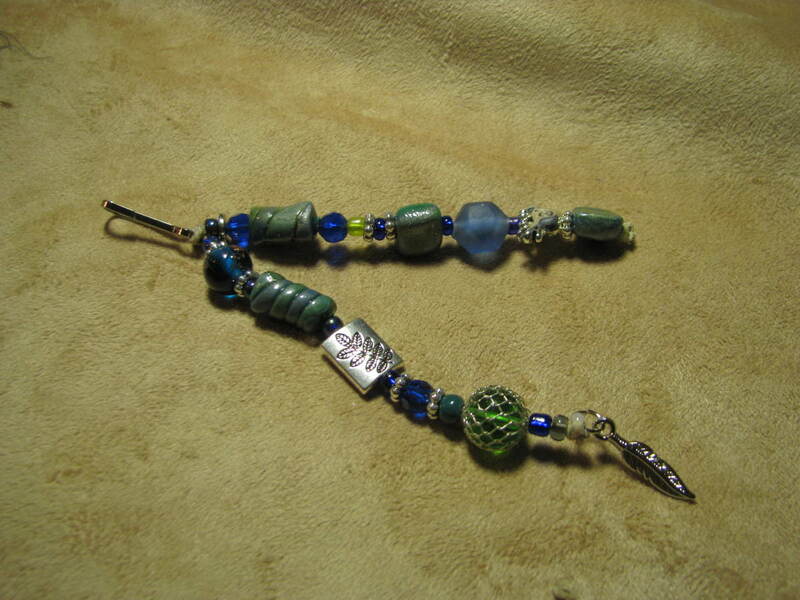 Those ideas for bead bookmarks and beaded keychains sound so easy and quick. Maybe I should try doing it! Thanks for the "up" vote Danette! Victoria Lynne--I've never met someone with a name so close! There aren't that many of us "V" names around, so we really do need to stick together! I'm surprised at the HOTD myself. I'm sure you'll be soon! Thanks for looking in livingpah and nmdonders! Rebeccamealy--I like the ID tag idea. I'm going to have to try that! Thanks urmila--One thing that I think Hubpages does well is let you give a step by step photo directions. Yes Moonlake--these are so easy. I taught a group of 80 ladies and everyone could make them. I actually just saw some leather that was like thread and I want to try it with that. Thanks Davenmidtown! Love your true bug profile picture! These are really pretty. I'll bet these would make popular ID tag holders too. Like for work. Congratulations! This is a beautiful and unique idea. Congrats on Hub of the Day! Nice and useful project. Voted up! Look so pretty. I need to make one. Thanks for providing an easy instructions. Useful and voted up! This is beautiful! I have kept beads from boken jewelry to use in some project! This would be a great use for them! Congrats on hub of the day on Hub of The Day. I can do this I know I can. I have made bracelets so I should be able to do this. Voted Up. An excellent hub that is not only well constructed and written, but interesting as well... Congratulations on HOTD... well deserved. Thanks Thelma--I do like the step by step of the photos but I need to work on lighting! Deb--Yes, I've done this the same way and I like having those tulle bags on hand to give them as gifts. I get them at the Dollar store. Coffeegginmyrice--that is a great point about the rosary beads! Thanks Comfort! I have another dear friend with that wonderful name! Thanks Janine--it was so funny that I'm visiting in California right now and happened to stay up late writing on a forum for Hubpages, so I actually got my email right as the Hub was published. I appreciate your votes! Thanks Happyboomernurse--the only problem with winning HOTD is that I immediately wanted to go and edit the hub and make it better! This was actually one of my earliest hubs and I hadn't looked at it in a while. It is very nice to get to have all these viewers. ktrap--that tool is such a lifesaver since I'm over 50 and my close eyesight makes it hard to do the littler beads these days. It came in my bead tool set and it took a while to figure out what it was! Great idea pstraubie--I've seen these made with several strings to keep places in a different parts of a book. Since they are thin they don't break the binding. Thanks for stopping by bibleguidejo! Princess with a pen--love your name! You are right about it being a conversation starter. When people see my cross one or my "mom" one, it gets me talking about my faith or my kids--two of my favorite subjects! Thanks RTalloni--I always appreciate your support and your own hubs on crafts are always so well done! Congrats on the hub of the day! 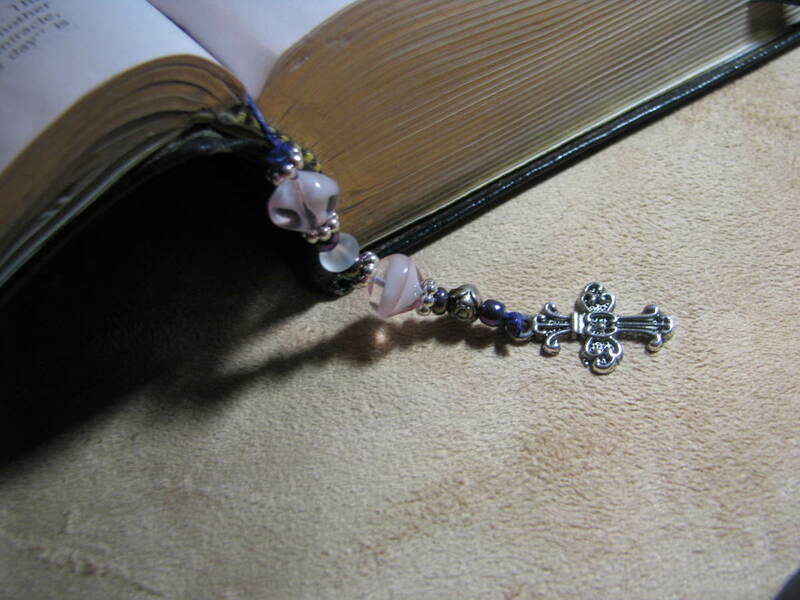 This is a beautiful creative beaded Bible bookmark. The photos are great. Thanks for sharing. Nice Hub. 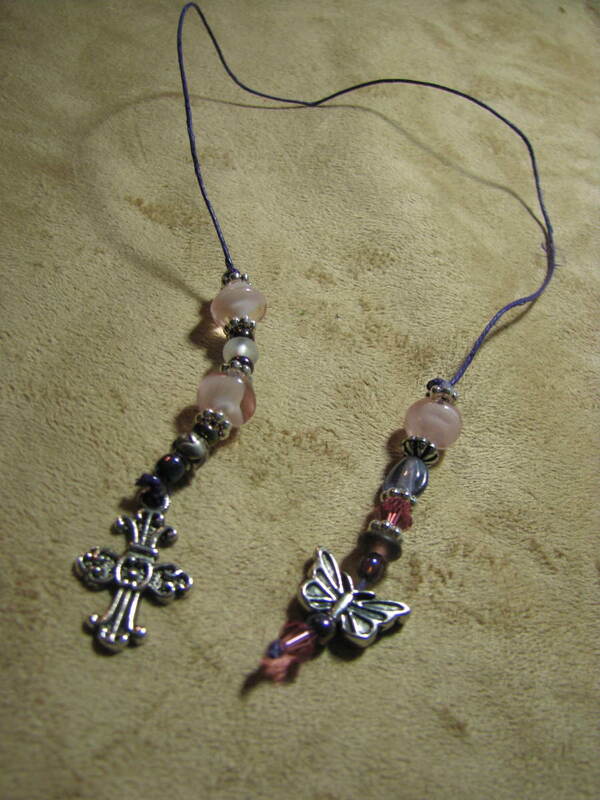 I made a Bible Bookmark such as this about 5 yrs. ago downstairs in the church on a holiday. Everyone made theirs differently but without the cross on the end. Lovely gift for someone in the tulle bag tied with ribbon. Congratulations. Very nice craft Virginia! Pretty dainty and useful! I know many of the Catholic 'Filipino' community who craft rosary beads and shortened ones to hang on a car rearview mirror too. Both the rosaries of varied bead designs and colours come in different shapes and sizes. Great for gift giving especially to children having their first communion or teens on their graduation day. Voted way up for your hub! Congratulations! Beautiful. Like how you included the pictures too. Voted useful, and congrats on being the HOTD! Congrats on the Hub of the Day. This is truly a wonderful Hub and have shared and voted it up. Will need to try this in my spare time. Thanks!! Congrats on earning HOTD status for this well written and illustrated, step by step craft hub. The final product looks lovely and as you say, would make wonderful gifts for special occasions. Voted up across the board except funny. I never knew there was a tool to make the hole in a bead larger. 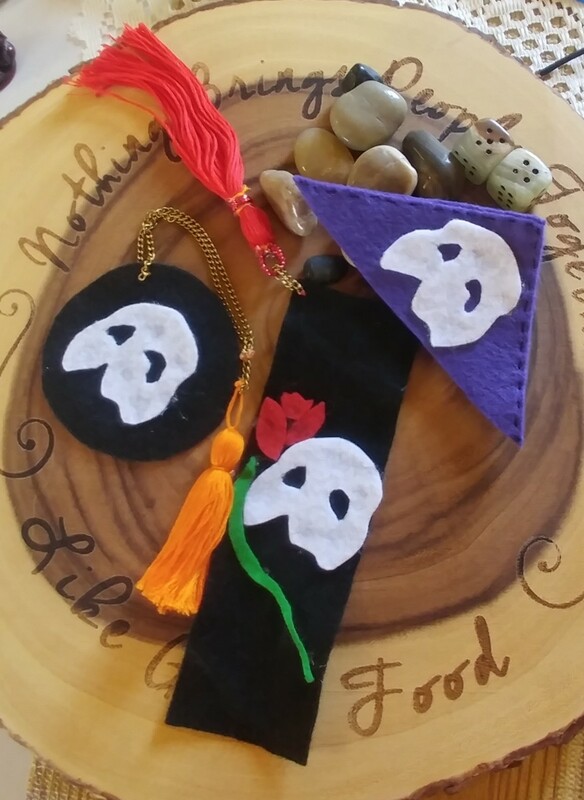 This is such a clever project and I like how the bookmark can be personalized by the selection of unique beads and charms. Congratulations on Hub of the Day. Science Notebooks for Kindergarten and Beyhond. Very nice article and very good photos. The beaded bookmark looks beautiful and very unique. It would be a great conversation starter in a place like a library. This post is a treat for any book lover! Congratulations on your Hub of the Day award. This is a neat tutorial, especially because you wrap it up with the instructions for making up the kits. Really nice! A very interesting hub and the bookmarks are stunning. I'm always looking for something a bit different as smaller filler gifts at Christmas and birthdays and these are perfect. Also two of my nieces are becoming interested in some of the crafts I do - knitting, cross-stitch - but I know they would also love bead work like this. Being youngsters beads are a big 'in thing' at the moment. Many thanks for sharing this great hub! This reminds me of prayer beads I made with other kids at my local Buddhist temple when I was a kid. It was really fun! Great Hub. And your photos are super helpful! This sounds like something fun and pretty, i think i'll try thanks for the info. 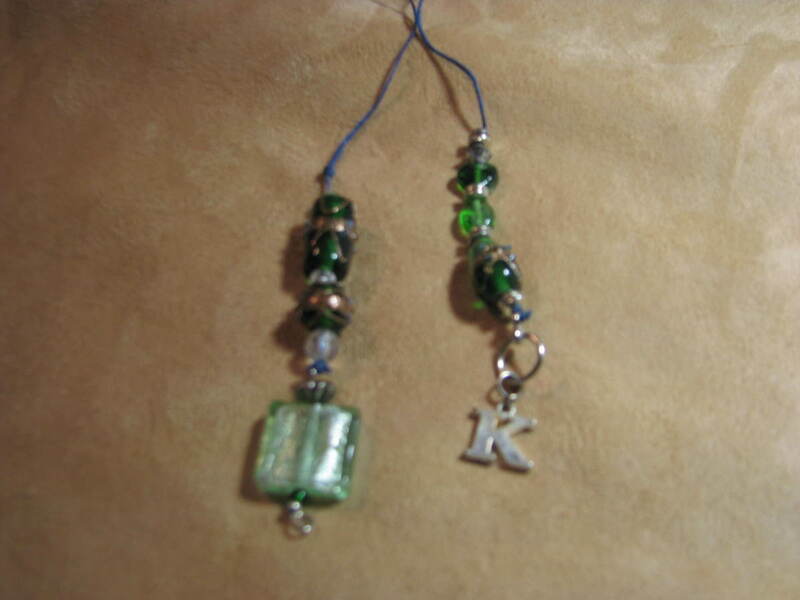 I'm not very crafty but I think I could even make the beaded bookmark - so pretty!